We have an Art of Hosting event coming up in February 23-26 on Bowen Island. This is my home based offering, which I have been doing for nearly ten years with friends Tenneson Woolf, Teresa Posakony and Caitlin Frost, and lately with our new colleague Amanda Fenton. All of these folks are incredible facilitators and teachers and great humans. For me, the pursuit of mastery in the practice of hosting conversations is the way I respond to the complexity that we are facing in the world. When faced with uncertainty and emergent problems, it is imperative that we engage in collective intelligence and create the conditions for good sense making and decision making. Working with complexity is a high art, and is in rare supply these days. Over the past year I have been in many situations where the fear of an uncertain future has caused people to reduce their work to the simplest and easiest problems to solve. Money gets spent, resources get deployed and another year passes, and at best we shift the needle on something in a way that we can never understand and at worst, we erode the collective capacity we have to act resourcefully in complex environments. And that, I am certain, will be what is written on the gravestone of humanity, should it come to that. I have no doubt that the statement will be accompanied by a pie chart analysing the downfall. That is my biggest frame of understanding why these practices are important: complexity matters and we need more complexity workers. Now there are many different skills required to work in complex environments. Some of these skills are covered in an Art of Hosting. These skills include personal capacities such as being aware of your own limiting beliefs, biases and shadows. They include leadership practices such as hosting and participating in truly creative and emergent conversational and social processes. It includes understanding the nature of complex systems and complex environments and to design effective interventions and make good decisionsin those environments. So that is what is under the hood. We use the word “art” very deliberately. What we are teaching is a practice that cannot be mastered in a three day event. As a team we have a strong commitment to launch people as practitioners. Practitioners of what? That depends on who you are and what your learning edge is. Over the years we have had people come to Art of Hosting events for a number of reasons: to develop their facilitation practice, to understand how to be a better participant in dialogue, to work with their limiting beliefs, to figure out how to lead their organizations differently, to design better engagement processes, to work more deeply with complexity, to understand theory, to learn new methods. Some folks even come because what we are offering is in line with their own personal growth. When we say that we are trying to launch people as practitioners, what we means is that we want people to see their lives and work differently and to begin a practice of shifting, learning and mastering their skills. I like to say to to people that the real results of their time at an Art of Hosting will show up 9-12 months later. You will become aware of a shift in your practice, or new ways of working with people and of new ways of seeing the world. It can sometimes be very transformative, it is often challenging and always engaging. 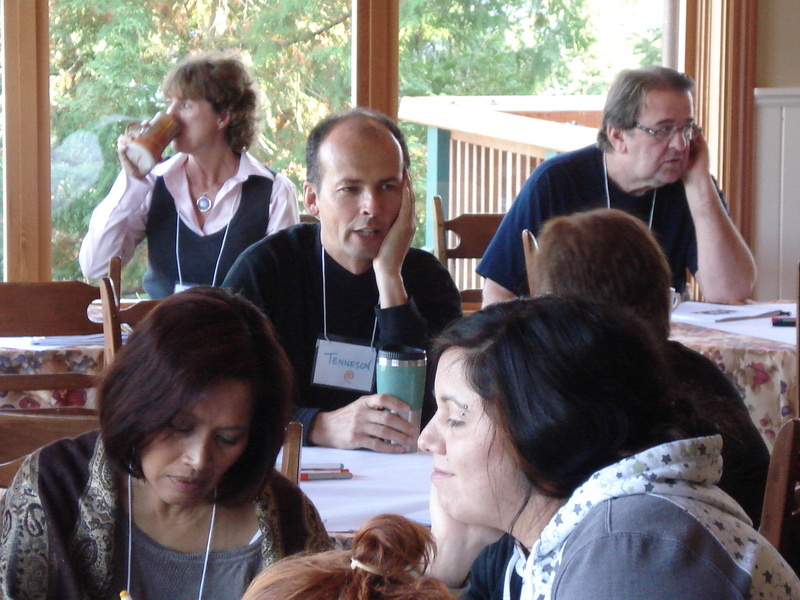 The Art of Hosting as a learning event is highly experiential. You will have an opportunity to get your hands on methods and to host parts of the workshop yourself, with supportive coaching from the core team. You will also be deeply engaged in conversations with 35 other people who are as curious, interested and challenged as you are. And you will get a chance to bring real life work and problems into our practices to further develop your initiatives. There is no role playing. Everything we do is real. So if you’d like to come, we’d love to have you. The more diverse the group, the better. We have had folks come from every walk of life, from almost every economic sector imaginable, from many many different kinds of community and history. All of us who train have worked in literally hundreds of unique environments and I can almost guarantee that one of the five of us will be able to translate what you are learning to your context. Add to that a sublime location, some great meals, a free juggling lesson, music and amazing conversations, and you have the makings for a retreat-style learning event designed to accelerate your practice as a complexity worker in the world.